There are a number of compelling reasons for you to regularly visit your dentist. Healthy gums and strong teeth are just a couple of them. But let’s be honest for a moment. The most likely reason people make that dental appointment is to keep their smile looking white, bright, and dazzling. Disguising chipped, stained, misshapen teeth, bonding is completed by using composite resins and permanently adhering directly to your teeth. Bonding is highly effective at restoring tooth function and enhancing the aesthetic appearance. 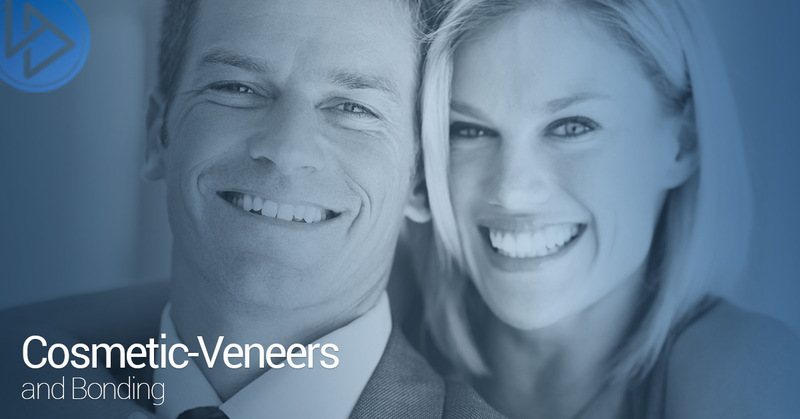 If you’re considering veneers, you want a team that can apply them consistently and that has the experience and expertise to design and bond the veneers perfectly. As a respected expert in cosmetic dentistry, Dr. Andrew Finley ensures superior results by utilizing the highest quality porcelains, bonding them with care and precision, and matching them to your natural teeth while using the latest dental technology available. Essentially, veneers are very thin shells of ceramic that are bonded to the front surface of your teeth. This procedure is highly popular due to both its conceptual simplicity as well as its versatility, and many people opt for this option when they’re looking to improve their teeth. If you have healthy teeth that have been stained, chipped, crooked or gapped, veneers are a wise option. However, veneers are an option that sounds simple but are, in reality, deceptively complex. Consider that a high degree of technical skill is required to bond them to the teeth in a way that makes them look undetectable. Cosmetic skill is just as important. It’s not enough for the veneers to be designed individually in order to look natural in a particular mouth. They need to also enhance the smile and take the natural aesthetics to the next level. With proper care, bonding, veneers, and other cosmetic options can give you years of gorgeous smiles. During your first visit, Dr. Finley will review all the options and recommend those that are best for you. For more information or to schedule a consultation, contact us online or by phone today.